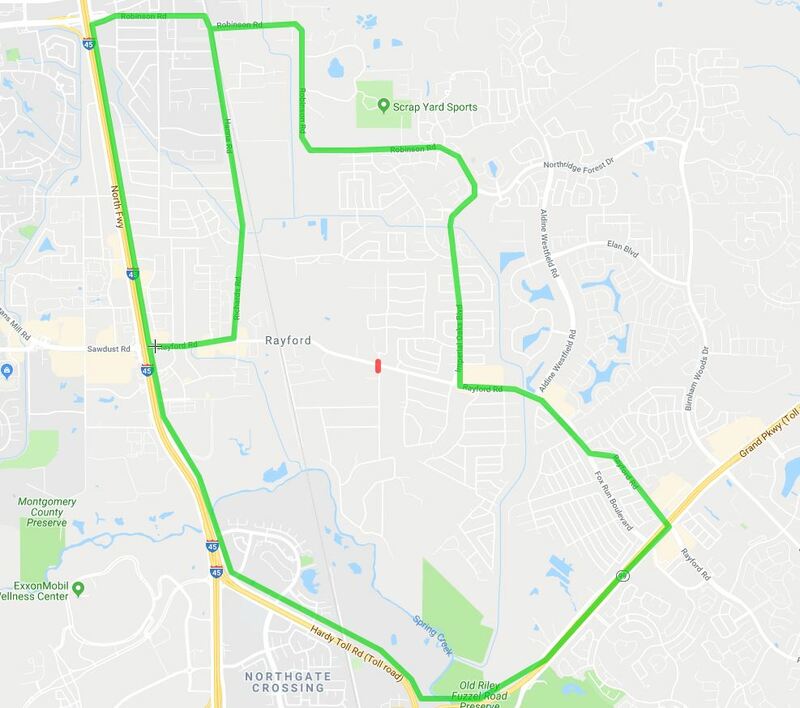 Rayford Road is scheduled to be closed to through traffic at Geneva Drive starting at 10 p.m. Friday, Dec. 14, and reopening by 5 a.m. Monday, Dec. 17. The closure was postponed due to the projected inclement weather for the weekend of Dec. 7. 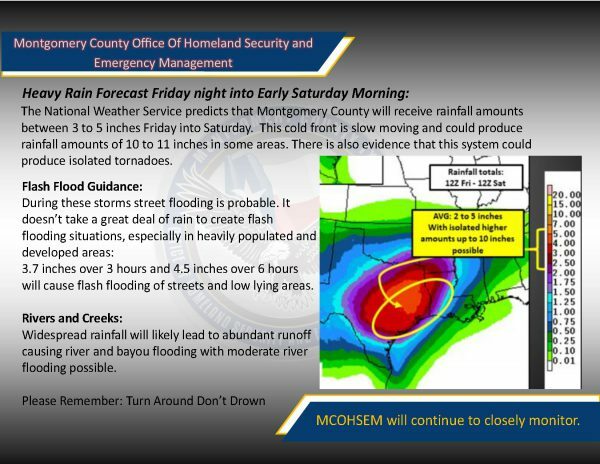 The forecast calls for heavy storms producing 3-5 inches of rain with the possibility of 10-11 inches in some areas Friday into Saturday. The safety of workers, drivers and residents was the top priority in deciding to reschedule the work. The contractor for the Rayford Road Widening Project will be installing large junction boxes and box culverts across Rayford Road, connecting drainage from the north side of Rayford to the new Spring Creek outfall. Installation of the junction boxes requires a large crane and heavy equipment that cannot be safely operated directly adjacent to traffic. Traffic headed east on Rayford Road from Interstate 45 will be diverted north to Richards/Hanna Road. 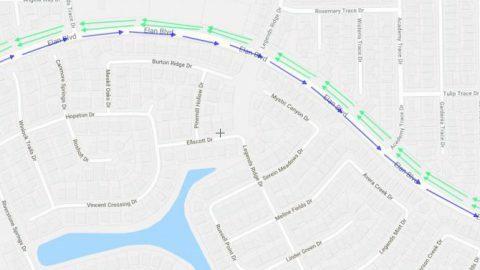 Westbound traffic coming from the Grand Parkway will be diverted north to Imperial Oaks Drive, which turns into Robinson Road (See map for alternate routes shown in green). 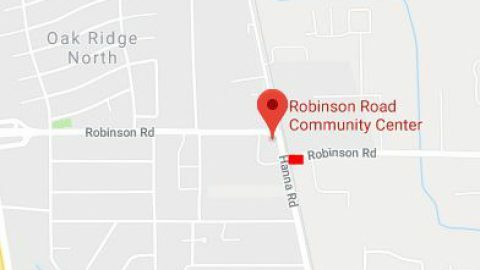 Drivers can expect heavy traffic at the intersection of Hanna and Robinson Roads during the Rayford Road closure. Residents who live in neighborhoods along Rayford Road will not be able to pass through the Geneva intersection on Rayford Road. Those living just east of the intersection must go east toward Imperial Oaks and the Grand Parkway; and those living just west of Geneva must go west toward Richards Road and Interstate 45. Residents who live off of East Geneva north of Rayford Road will be forced to turn east out of their neighborhood at the Rayford/Geneva intersection. 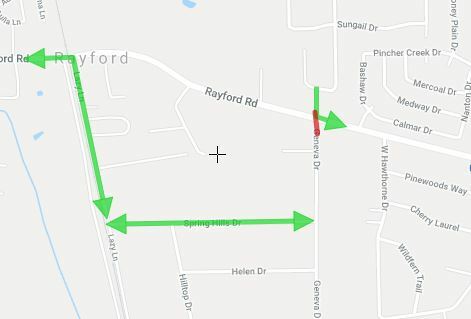 Residents who live off of Geneva south of Rayford Road must take Spring Hills Drive or Helen Drive to Lazy Lane in order to turn west onto Rayford Road by the railroad tracks. Local access will be provided to businesses along Rayford Road. Law enforcement officers will be stationed at the Richards Road and Imperial Oaks Drive intersections along Rayford Road in order to direct traffic during the closure. An officer also will be located at the Hanna/Robinson intersection to help with the flow of traffic. The Rayford Road Widening Project was part of the November 2015 road bond referendum passed by voters. The project will widen Rayford Road to six lanes (three in each direction) from Richards Road to the Grand Parkway. The project also includes a bridge over the Union Pacific Railroad tracks just west of Lazy Lane for both eastbound and westbound traffic. For questions, call the Precinct 3 Commissioner’s Office at 281-367-3977 or email Rayford.Road@mctx.org.